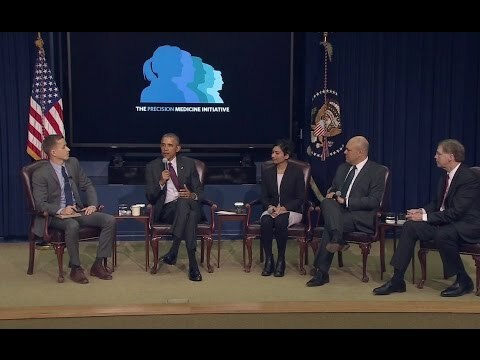 (May 30th, 2016) The Obama administration released its final data policy framework establishing security expectations for organizations that participate in the Precision Medicine Initiative (PMI). “The 10-page framework, which builds on the National Institute of Standards and Technology’s cybersecurity framework, is intended to be adaptable to the various participating PMI groups and is aimed at providing a broad framework for protecting data and transparency,’’ HealthcareDIVE reported. Setting a ‘participants first’ orientation that engenders trust. Ensuring that security processes are adaptable to keep pace with technological advances. Seeking to preserve data integrity. Identifying key risks to security, while enabling research to progress. Developing clear expectations and transparency around security processes. Ensuring that security controls protect data, while maintaining access to those who need the data. Minimizing exposure of participant data. Sharing experiences and challenges with other PMI organizations.